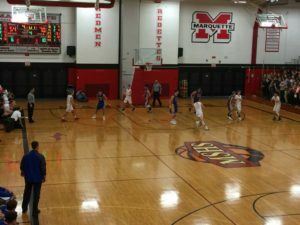 There was electricity in the gym tonight as the the Marquette Redmen, who own the number one ranking in all of the Upper Peninsula, faced off against the Kingsford Flivvers. This is a team that Marquette hadn’t lost to since February 24th, way back in 2012. Expectations were soaring for the Redmen who entered the game without one of their star players, Marius Grazulis. Fox Sports Marquette has all the postgame coverage. It was a quarter of foul trouble for Marquette, as they finished the quarter with seven team fouls. Both teams came out of the gate flying on the scoreboard, with the first quarter finishing with Kingsford leading 22-18. Kingsford’s Luke Terrian had the hot had for the Flivvers, scoring their first 7 points. His hot hand continued into the second quarter, as Terrian picked up 23 of Kingsfords first half points. 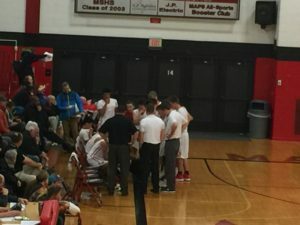 Jake Ogea sat on the bench due to foul trouble for a good portion of the game and Marius Grazulis missed the game due to an undisclosed illness. 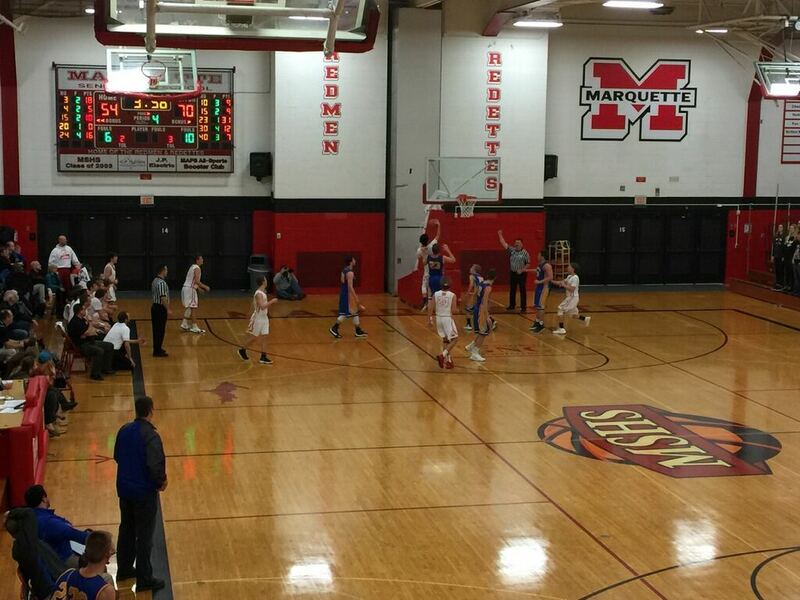 The lack of offensive potency that Marquette is used to working with was very apparent. 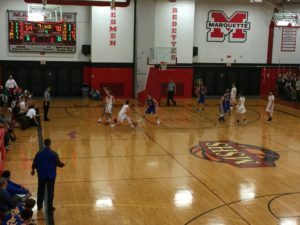 The Redmen trailed by double digit points entering halftime, 48-29.
appeared tired in transition as many of the Flivver players beat the Marquette players down the court for easy transition points. At the end of the third quarter the Redmen were able to get within 13 points of Kingsford, but weren’t able to finish their comeback bid. 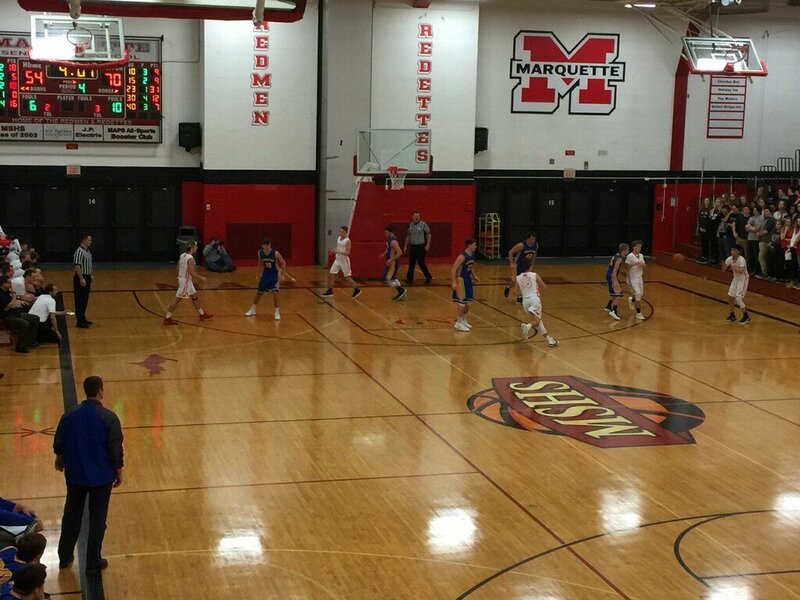 Your leading Marquette scores tonight were Raffy Molado who finished with 21, follwed by Luke Ogea with 17. 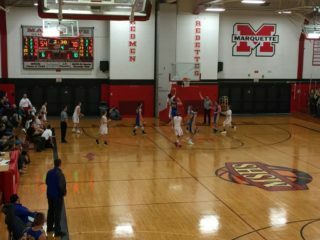 Next up for the Marquette Redmen is an out of conference match-up with their rivals down the road, the Westwood Patriots, January 30th on 105.1 and 99.9 fox sports marquette. With tonight’s loss, the Redmen still hold the top spot in the conference, but are now joined by Escanaba who are both tied with a 3-1 conference record. 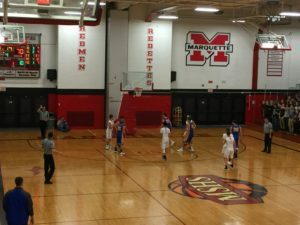 Tonight’s game was streamed live, as always, on the foxsportsmarquette.com webpage. 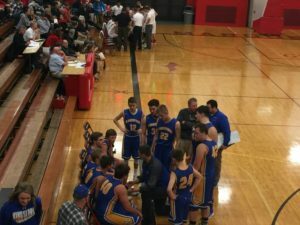 The Redmen were able to get to Kingsford early in the game, but fell apart late. Marquette lays it up, trying to stage a comeback. The Marquette offense sets a play for the top of the key. 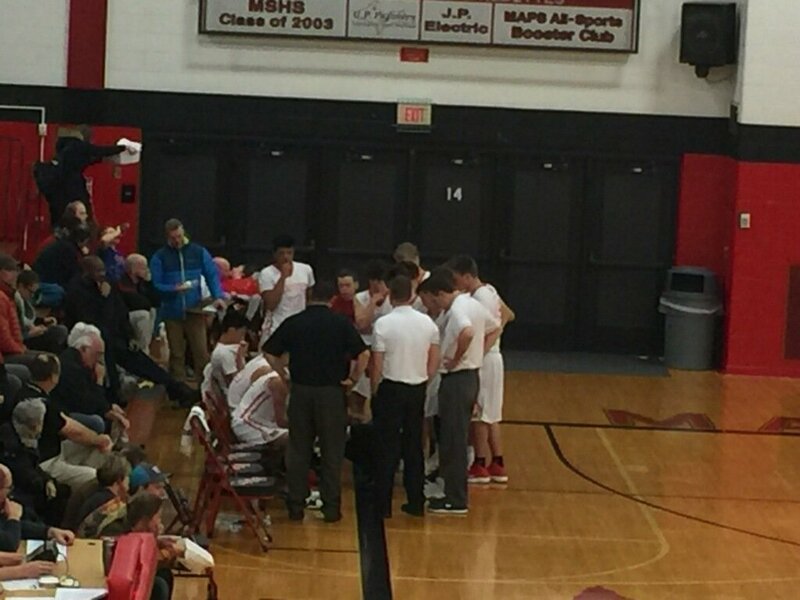 The Redmen look to shoot a quick 3 point shot. Kingsford goes to take the inbounds pass. Kingsford draws up a play. Their offense clicked against Marquette.